Where would your child like to study? Discover options for getting in to Griffith. Find out more about PhD and masters by research. We offer a range of professional development courses. Our online degrees are delivered 100% online, giving you control over where and when you study. Use this icon to personalise the page to your pathway, preferred campus and study level. Personalisation is not available through private browsing. Teaching English to Speakers of Other Languages (TESOL) is about the teaching and learning of the English language in both English-speaking and non-English-speaking countries. Well-trained TESOL teachers are highly sought after as the demand for English language learning around the world continues to grow. With your NEAS-endorsed TESOL qualification from Griffith, you can build a successful career that spans the globe. Our degree offers internships and recognition of prior learning, to help you start your travels sooner. Your TESOL qualification prepares you for a professional career in English language teaching, with excellent practical skills to teach speakers of other languages. Our graduates teach at all levels, from primary schools through to colleges and universities. Graduates have taken up training or management positions, carried out research, studied for higher qualifications, and even launched their own language school. Bring Griffith's knowledge and expertise in teaching English to classrooms across the world in as little as six months. Your qualification prepares you for a professional career in English language teaching, with excellent practical skills to teach speakers of other languages. If you want to kick-start your career quickly, you can opt to study an accelerated version of the Graduate Certificate in TESOL. At Griffith we offer flexible study modes. TESOL is offered full-time, part-time and on-campus at Nathan, with some courses also offered online. You can start in February, July or October in 2019. Whether you study a Graduate Certificate in TESOL or our Master of TESOL, you'll receive hands-on, specialist training to understand and adapt to the learning challenges faced by learners of English. You'll be introduced to the structure of language and how linguists describe it. You'll examine the nature of language learning with reference to current theories of language acquisition and applied linguistics. You’ll learn about assessment, curriculum development and how technology is used in language teaching. You can learn about research in the area of TESOL, how to analyse discourse, how and why English functions as a global language, and more. You may also choose to write a supervised research dissertation, and take a teaching practice internship. By the end you will be prepared to work in the global English language teaching industry in a range of contexts and situations. Where will a Master of TESOL take you? 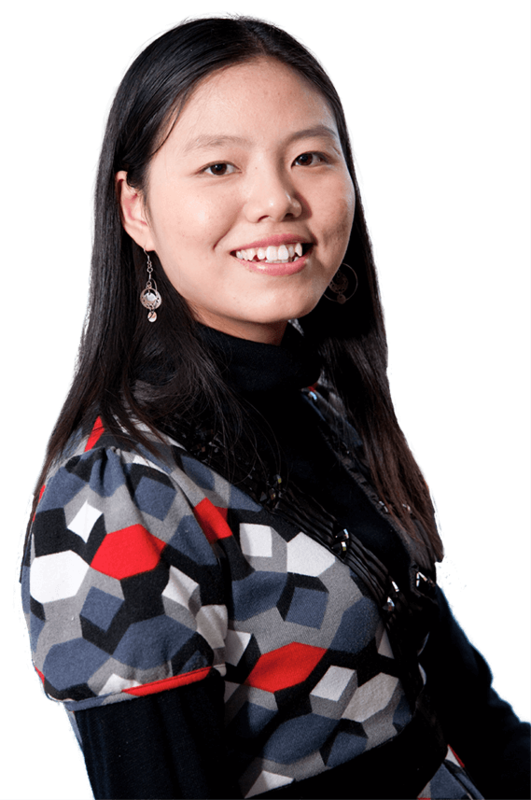 After obtaining her Bachelor of Arts in English Education in China, Jiuli Wu joined a government program to teach in remote southwest China before coming to Griffith. It is important to check the degree requirements including placement requirements, before you apply. Griffith TESOL graduates are well-equipped with up-to-date specialised knowledge and practical skills to become informed and effective English language teachers. Use your expert knowledge to work in Australia at private language colleges, university language centres or TAFE institutions, and overseas at schools, universities and private language colleges. Griffith’s valuable, NEAS-endorsed qualification in TESOL will give you unique opportunities to work, travel and see the world. You can gain more than just a degree at Griffith. With plenty of opportunities to balance life and study, you can make memories and mates to last a lifetime. Includes study and exam period from Monday 27 May to Saturday 8 June. Visit the Griffith University stand at the Melbourne VCE and Careers Expo to talk to our expert advisers about your study goals, life at Griffith, online study options and more. If you’re considering further study, get the right advice and information you need at our January Mature Student Open Evenings. No matter whether you're returning to university after a few years off, starting study for the first time or looking for a postgraduate degree to further your career, we can help. Visit the Griffith University stand at the Brisbane Careers and Employment Expo to talk to our expert advisers about your study goals, life at Griffith, online study options and more. Get a taste of university life at our Discover Griffith event. Designed for Year 12 students, their parents and families, this event helps answer questions about what to expect on your journey to university and deciding on the right study path. Get the right start and find out everything you need to know about starting at Griffith. Includes study and exam period from Tuesday 8 October to Saturday 19 October. Do you have questions about studying at Griffith? Book a personalised 30-minute Q&A session with one of our expert study advisers to get advice about your study options, available scholarships and support services. TSXPO is for anyone considering further study. Talk to our academic and professional staff about our degrees, flexible study options, admission pathways, how to apply, scholarships and support services. Entry is free. Visit the Griffith University stand at the Sunshine Coast Daily Careers Expo to talk to our expert advisers about your study goals, life at Griffith, online study options and more. Visit the Griffith University stand at the Townsville Careers Expo to talk to our expert advisers about your study goals, life at Griffith, online study options and more. On Open Day, you’ll find general information about all our degrees at each campus, as well as essential information about student support services, admissions, scholarships and postgraduate studies. It’s a great time to get to know our campuses, experience life at Griffith, explore your study options and find the information you need to make a decision about your future. Need help with your university application? Receive personalised advice and assistance from one of our expert study advisers to start and/or complete your university application. If your OP or ATAR result changes your direction, chat online with our expert study advisers to explore your study options. Find out about admissions pathways, entry requirements and changing your preferences.